Have you ever watched a movie that meant one thing at one point in your life and something different at another point? 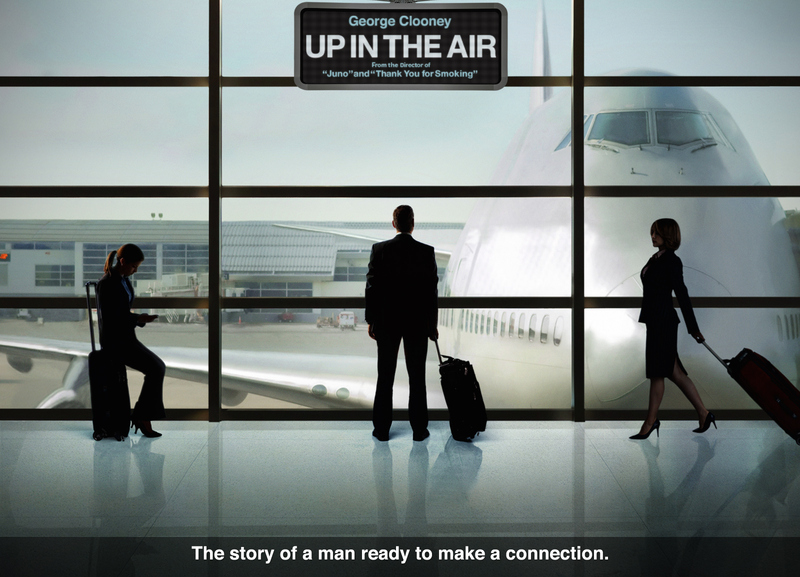 Back in 2009, when the film Up in the Air was released, I sat in the theatre watching the credits thinking about the film's theme. As people started leaving their seats, I was processing the idea of leaving behind your baggage and pushing yourself to stay in constant movement. I was 33 years old at the time and not so happy with my career. I thought to myself, "Am I weighed down by my own baggage? Have I really challenged myself? Have I reached the goals I set for myself in my twenties?" By the summer of 2010, I sold everything I owned: clothes, furniture, and even my DVD and CD collections. I only kept what I could fit in my Volkswagon Golf. I scraped together all the money I had and moved to Los Angeles to pursue my dream of working in the film industry. But that was just one version of my interpretation. Directed by Jason Reitman (director of Juno, Thank You For Smoking, and the little-known but excellent film Labor Day), Up in the Air proved once again that Reitman is a filmmaker to keep an eye on. And not just because the film was nominated for (and won) several awards. He values characters more than spectacle. And though his films typically get categorized as dramas, he knows when and how much humor to bring to the story. The film, based on a book by Walter Kirn (who gets a cameo during the "Glocal" scene), follows the life of Ryan Bingham. But more importantly it examines the topic of family, and the various points of views people have of it, which is probably why it can be interpreted in multiple ways. George Clooney as "Ryan Bingham"
George Clooney takes the lead as Ryan Bingham, a representative for an HR consultant firm. His job is to assist in the termination of employees for other companies. Although most people would have issues with this kind of job, Bingham's philosophy on life affords him freedom from guilt. On the side, Bingham is a motivational speaker; his seminars focus on living a life without baggage. In other words, by not getting involved in relationships (friends, family, etc. ), a person is free to roam and truly live life more fully. Of course, things get sticky when Bingham's job and lifestyle are challenged. Bingham must be both charming and cutthroat. There's little room for his character to sway. He can't be too kind, but he still has to show some sympathy. 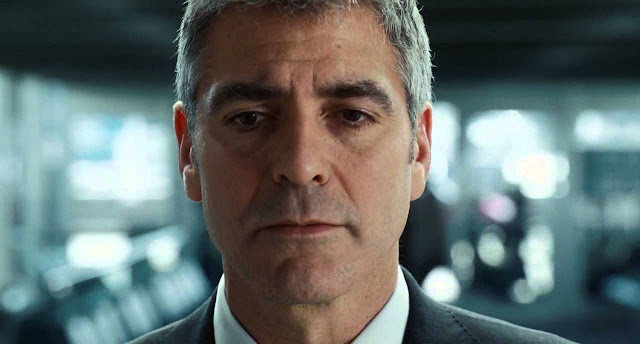 Clooney was a great choice for the role, with his charm and wit combined with his ability to bring fierceness to his characters. He owned the role, and when you watch the film you forget that he's megastar George Clooney. On the other side of the spectrum is Anna Kendrick's character, Natalie. She believes in technological conveniences, and their benefits towards family time. The clash between the two never feel like the stereotypical odd couple. Instead, their relationship is a constant challenging of each other's philosophical points of view. Bingham is bombarded by more than just Natalie. His siblings, who he spends little-to-no time with, ask him to help take photos with a cardboard cut out all around the States. Since he has to travel to different cities anyway, why not? Not pleased with this familial duty, Bingham reluctantly adds baggage to his compact luggage lifestyle. Then he has to face one more challenge: Alex, played by Vera Farmiga. Though she started out as a casual encounter, Bingham quickly falls for the seemingly cold Alex (cold in the sense that she enjoys the casualness of her new partner). The difference between Alex and the other challenges is that Bingham is to blame for this new risk. Though I view this film as excellent storytelling, I must include the quality of the cinematography (by Eric Steelberg) and editing (by Dana E. Glauberman). Glauberman's best example is early on when we're introduced to Bingham's airport-loving routine. It's a quick scene that compresses Bingham's life in just a few seconds -- appropriate considering his lifestyle. Reitman doesn't overuse these aspects though, and focuses more on the acting. That seems to be his strongest trait as a director and is always a reason I enjoy his films. By this point in his career he seems to have graduated from teenagers (as featured in Juno) to middle-aged adults. If Juno can be considered his pop song, Thank You for Smoking as his alternative rock tune, and Labor Day as a romantic jazz song, then Up In the Air should be his classical piece. Up In the Air remains one of my favorites. Once the film was available on bluray, it became one of those films that I liked to share with others. And little at a time, the way I viewed the theme changed. Maybe life wasn't so much about moving. Maybe life is found in the people that surround you. Maybe family doesn't weigh you down, but instead lifts you up. And I admit that this new point of view coincided with my real life. I began looking for ways to plant my roots and be closer to people. Maybe it's just my age, but I prefer to think that films like these affect my life. And who knows? Maybe in my late 40s I'll reinterpret the film yet again. 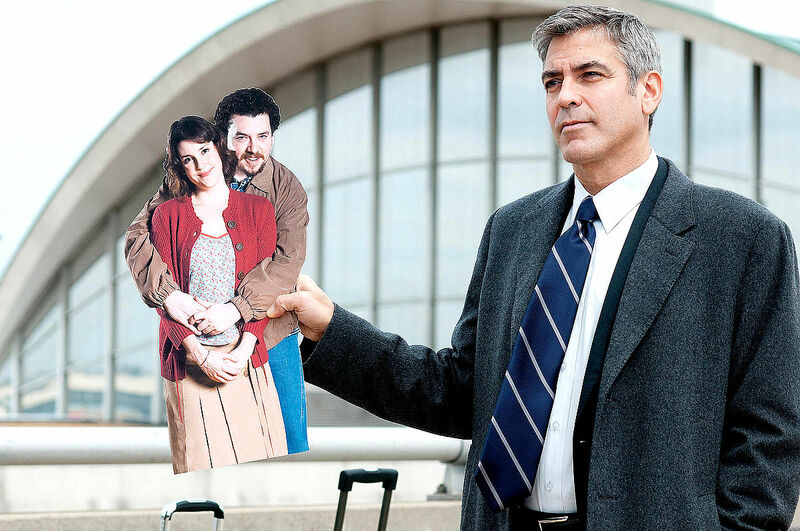 TRIVIA: The theme of unemployment and downsizing was not meant to coincide with real life events. As the film was nearing completion, the economic crisis in the United States just happened to be peaking. Because of this, interviews with non-actors who had lost their jobs were filmed and interwoven into the film's beginning and ending.